The adoption of the 2030 Global Agenda for Sustainable Development in 2015, underlines the implementation of 17 Sustainable Development Goals (SDGs) to end poverty, fight inequality and injustice, and tackle climate change challenges by 2030. The Agenda 2030 is underpinned by a strong commitment to ‘leave no one behind’ and to reach the furthest behind first. As implementation of the 2030 Agenda unfolds, the demand for effective national institutions, systems, policies as well as reliable quality data emerges. Thus, underscores the importance of building capacities to enable countries to plan, implement, monitor and report on their National Sustainable Development Strategies (NSDS) and the Sustainable Development Goals (SDGs). The Revolutionary Government of Zanzibar (RGoZ) is committed to the implementation of the Global Development Agenda 2030 as reflected in the Zanzibar Strategy for Growth and Reduction of Poverty III (MKUZA III). However anecdotal evidence has revealed limited capacities for coordination and reporting of both the SDGs and MKUZA III in Zanzibar. It is within this context that the Revolutionary Government of Zanzibar is committed to strengthen its national systems and institutions to facilitate coordination, implementation and reporting of SDGs. There is also a challenge in responding to greater demand for reliable and disaggregated data, required to inform policy and decision making, coordination of routine activities as well as monitoring implementation of the SDGs and development plans. The situation therefore, calls for further strengthening of RGoZ’s capacities to facilitate coordination, monitoring and reporting the results of SDGs and MKUZA III as well as in responding to the increasing demand for data. In that regard, UNDP is supporting the Zanzibar Planning Commission to implement a project on ‘Capacity Building for Coordination and Reporting of the SDGs and the Zanzibar MKUZA III’. The aim of the project is to enhance institutional capacities and facilitate coordination, monitoring and reporting of the SDGs and MKUZA III in Zanzibar. It seeks to put in place essential capacities that enable the formulation and implementation of conducive policies and regulations as key ingredients and enablers of sustainable development. The project will focus on enhancing institutional capacities of the Zanzibar Planning Commission (ZPC) - an SDG secretariat - with responsibilities for coordinating the implementation of MKUZA III and the SDGs. Support will also be provided to strengthen the capacities of the national statistical system, including the OCGS and other key sectoral MDAs. The project will capitalize on data revolution to bring about a shift in the way data is collected, analysed and used. Initiatives towards more sophisticated and innovative approach to data production, use, analytics, visualization, and communication will be implemented. Emphasis is also placed on strengthening partnerships and south-south knowledge sharing networks; facilitating implementation of various global and regional plans of action for sustainable development, creating public awareness, engagement of CSOs and other stakeholders in the 2030 Agenda for Sustainable Development as well as the Africa vision 2063. Given the limited institutional and technical capacities at the ZPC in addition to supporting other activities there is a need for technical expertise to enhance ZPC’s Coordination and M&E capacity. 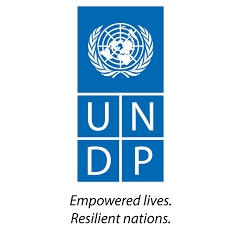 To this effect, the UNDP, will engage an SDG Coordination Specialist to facilitate and fast track the coordination and implementation of the SDGs and MKUZA III in Zanzibar. oversee and ensure timely submission of project reports including implementation progress reports, special technical reports, quarterly financial reports, and others as may be required by ZPC, UNDP and other partners. Lead the development and implementation of the SDGs Roadmap. dentify areas for continued Government and UN support and engagement in the implementation of MKUZA III, Agenda 2030 as well as other regional, national and sector development plans. Promote outreach, awareness raising, and community mobilization initiatives on SDGs. Draft Zanzibar SDGs Voluntary National Review (VNR) report prepared. Project reports including project implementation reports, technical reports, and other reports as may be required by ZPC, UNDP and other partners. SDGs Roadmap for Zanzibar prepared. At least two policy dialogues per year organized. Documentation of key knowledge products emanating from the policy dialogues. Analysis of key policy implications for upstream advise and mainstreaming to local policies, plans and strategies. Delivery - Ability to get things done while exercising good judgment. Master’s degree in Economics, Development Economics, Statistics, Political Science or any related field. Strong emphasis on economic analysis and quantitative skills preferred. Experience in working on SDGs in developing countries is an added advantage. Excellent writing and presentation skills including writing of policy briefs, position papers and technical reports.